Special When Lit - for FREE?! I know that I might be super-duper late out of the gate on this one, but I just found that the (relatively) new pinball documentary Special When Lit can be seen, for free on Hulu. This movie is a real joy to watch! The opening credits are completely AMAZING! Oh man, today was a big one. 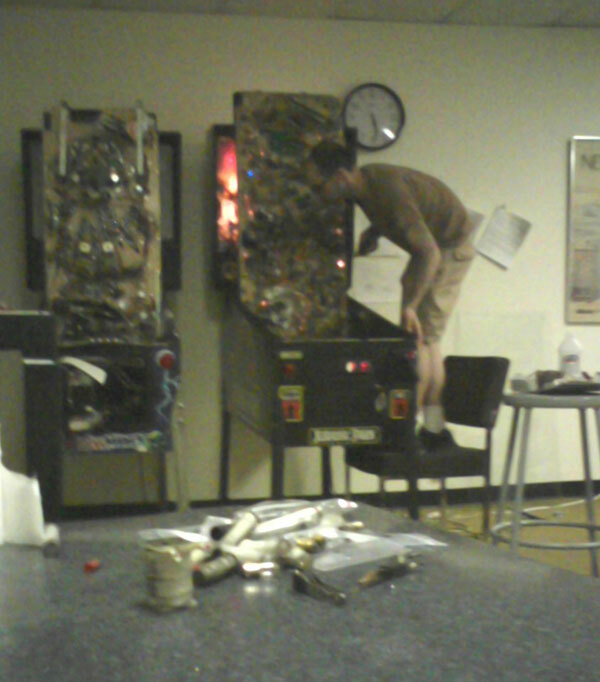 Jon and I met up at noon and then spent SIX HOURS working on our pinball machines. It was intense! Here's a shot of Jon working on his machine in the background, and a pile of burnt out, filthy, junk parts that we had pulled from the machines. 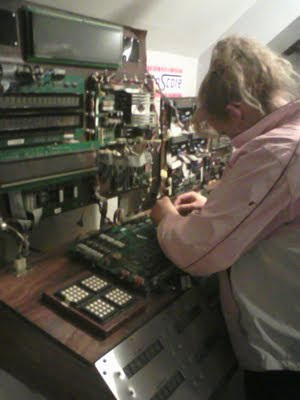 Last week Jon posted all about getting the circuit board from his Jurassic Park expertly fixed by Sarah St. John at the Pinball Wizard Arcade in Pelham, New Hampshire. That fixed a pop bumper coil and sling shot coil. Then, today, Jon replaced both of the end-of-stroke switches and red caps on his flipper mechanisms. He also took the plunge and put in a TON of LEDs for his computer controlled lights. Let me tell you, IT'S LIKE A WHOLE NEW MACHINE. The flippers are fast and responsive, everything's working, it's so much easier to understand the modes and what to shoot with the brighter lights. It's that great moment in restoring a machine when everything mechanical is finally working, and all that's left is the cosmetic / aesthetic restoration. Meanwhile, over on Medieval Madness, I went through the whole machine and replaced every single nylon coil sleeve. I've seen this recommended on lots of different pinball blogs, but never got around to it until today. I wish I had done it sooner. It really breathes new life into the game. Everything's running more smoothly. It was also a good chance to learn more about each of these coils. I found a couple that were starting to swell and will need to be replaced. I also was able to CLEAN a lot of stuff. I also went through and tried to replace some of the strain on my General Illumination circuits by replacing about a dozen #44 lamps with the cooler burning #47s and even a some LEDs under the ramps. My mid-playfield G.I. string fried the triac on the driver board, so that will be my next repair, and hopefully these preventative measures will keep that from happening again in the future. ANYWAY, it was super fun nerding out all day, wrenching on the machines. Get your tools out on memorial day tomorrow and tune up those pins! I'm just trying to fix my pinball machine! Click here to read at full size! 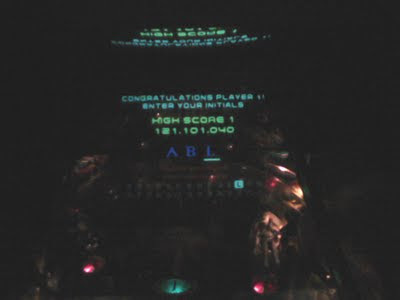 Sooo, in this post, Alec talked about the amazing time that he has at the Pinball Wizard Arcade in Pelham, NH. 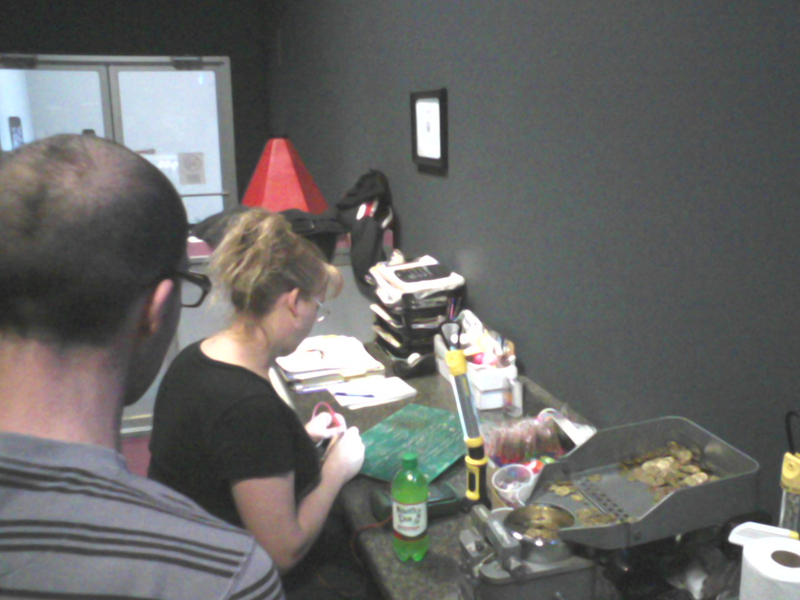 This relatively new pinball / video game arcade is expertly run and maintained by Sarah St. John. Let me preface this whole story by saying that she knows EVERYTHING about pinball machines and pinball repair. Alec and I were exhausted from a busy week of doing thesis reviews and commencement activities at the Center for Cartoon Studies, and decided that a pinball break was just the thing we needed. In addition to running the Pinball Wizard Arcade, Sarah also does house calls to fix pinball machines, and does repairs during all hours to the machines in-house. Since I've gotten my JP machine, the left pop bumper and left slingshot have NEVER worked. I replaced the coil and he transistor, and TRIED to replace the damage to the burned traces on the CPU board, but so far, no luck! I was afraid that the burn damage was too deep, or that I had botched it up. I decided to bring my CPU board into Sarah and see if she could fix the traces. We were pinbrawlers with a MISSION! And that's just the tip of the ice burg. After a while, Sarah St. John arrived at the arcade and we met up and talked pinball for a little bit before I went out to the car to bring in my CPU board. Sarah promptly went to work and whipped out the digital multi-meter (a device used to gauge current / resistance / connectivity / etc) and checked the troubled components. I was surprised to learn that I had actually done a fine job repairing the traces and replacing the transistor (good job me). After running some tests, Sarah figured out that it was the PRE-driver to the transistor that was also shot, as well as a malfunctioning 7402 chip. Holy Multiballs, Batman, she's a real wizard, and I would have never figured that out. I'll take this opportunity to remind our readers at home that when I figured out how to replace the transistor and fix the power supply problems on the power board it took EVERY ounce of my cunning and smarts. (I refer you to this picture). For Sarah, this sort of stuff was like water off a duck's back. 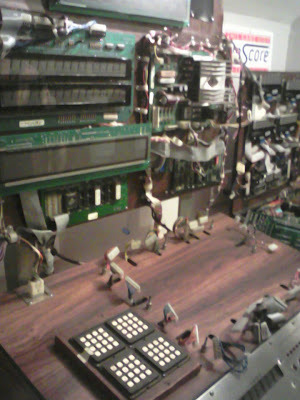 When she suspected that the 7402 chip (which runs the pop bumpers and one of the slingshots) wasn't working, she took us up to one of her workshops that overlooks the arcade to test it. The machine that she plugged the chip into to test it was one of the coolest things I'd ever seen (so far [that day]), and one of my only regrets about the trip was that we didn't get a picture of it. It sort of looked like a computer tower laid on its side, with a whole ton of tiny holes punched in the top so that you could plug in a myriad of chips into it. After confirming a bad 7402 chip, Sarah asked me if I wanted to see her workshop and the CPU board testing device. Did I ever! To my horror, though, I suddenly couldn't find Alec. I was going bonkers trying to find him, but we must have been just missing each other. I assumed we were just going to go around to the back of the building, or next door, or something, so I finally gave up and went with Sarah. I'm going to take a break from my thrilling pinball repair tale to recount other awesome pinball tales that were happening concurrently. While I was heading off to Sarah's workshop, Alec was having some quality time with an old friend. Oh, you know, just a little darling named STAR WARS EPISODE ONE!! If you're a regular reader of this zine / blog, you'll know that SWE1 is the wet nurse that weened us onto the wild world of pinball. 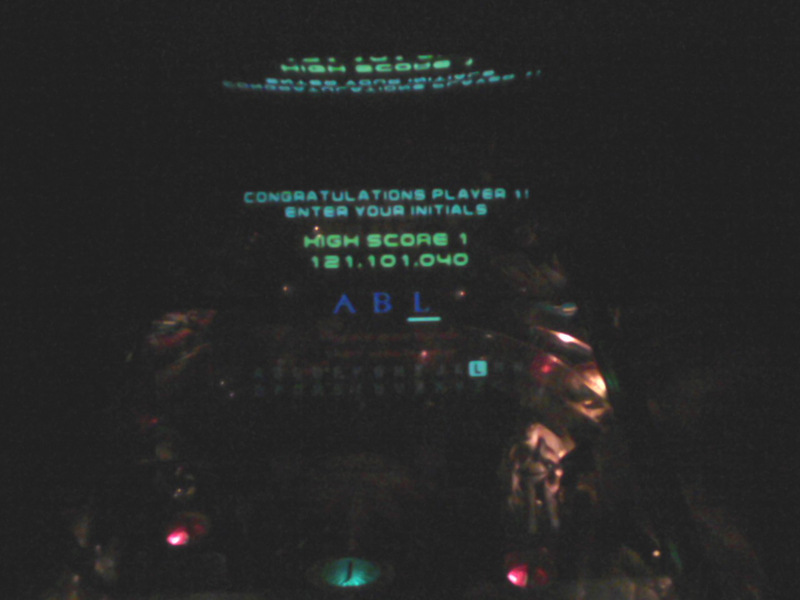 In true Alec fashion, he totally rocked that machine, and by the time I had gotten back, had secured a place on the High Score Board! Meanwhile, I had arrived at Sarah's workshop, which was on her property. 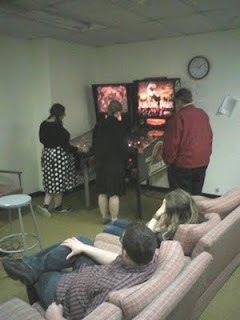 Every room made me squeal with delight, every desk a pinball nerd's dream come true. Every sort of machine, part, and tool were at her disposal, and that's not even mentioning the vast amounts of games just sitting around. With every new room, I would say something like, "Wow, what a workshop! This is bonkers!" (I said bonkers a LOT that day. Sorry Sarah!) Sarah would reply with, "this isn't the workshop" or something like that. 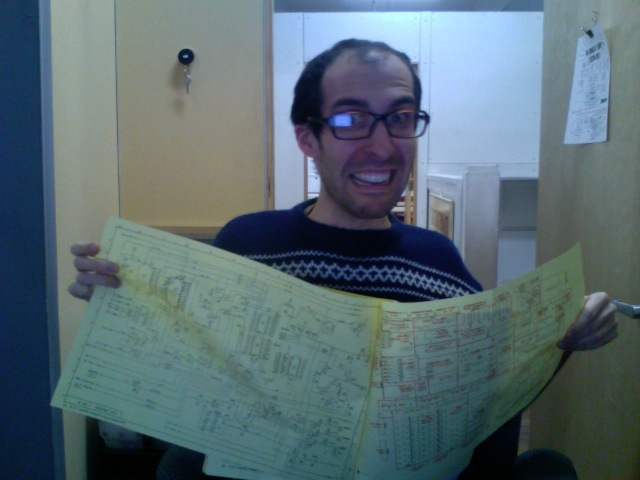 I was completely blown away by the the sheer quanity of parts that were carefully organized and filed away. I had been to houses of pinball collectors before, but this was the first time that I had seen such a complete and thorough workshop. We finally ended up on the top floor in a huge room filled with these wild, huge machines. There must have been 30, at least. 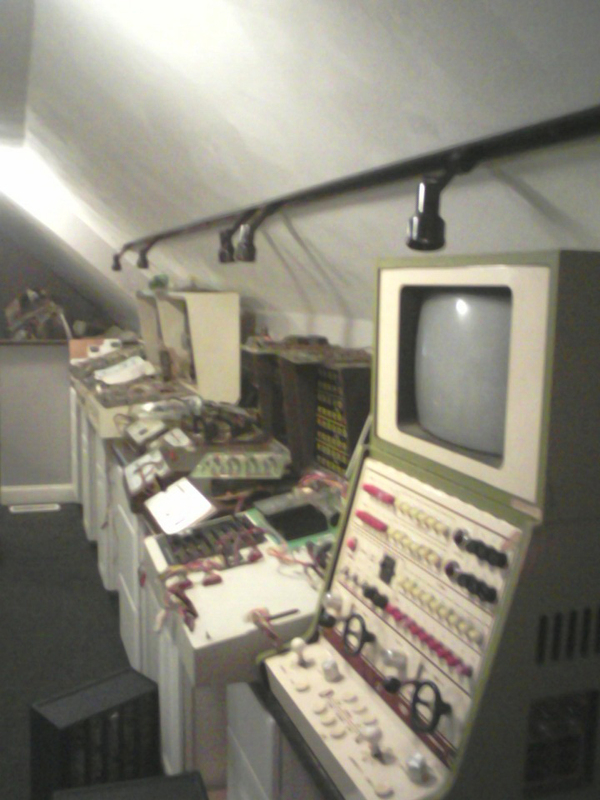 These, Sarah explained, were CPU testing devices that she had acquired through her years as an operator/collector. With these, you can plug in your CPU board to test all of the features without having to plug it into a game. Using a series of buttons, you can trick the board into thinking that you are rolling over switches, activating lamps, launching balls, WHATEVER, and then see how the board reacts. You can fix / test a board for someone whose game you might not have, and is 1000 miles away! Each of these machines correlated with a different era of machine from different manufacturers. Sarah found the one for Data East machines. With the new 7402 chip installed, the board tested out A OK!!! However, Sarah is super-duper thorough, and offered to take the CPU board back to the arcade and plug it into the Jurassic Park machine that she had on the floor of the arcade and test it there. What a class act! I was really touched by her thoroughness and her enthusiasm. Once we got back to the arcade, we popped in the board and started up the game. There was something charming, but also a little nerve-wracking about plugging in my CPU board into someone else's game. It's not like the board carried anything malignant, or anything like that. It just goes to show Sarah's confidence in the repair. Everything, naturally, worked like a charm. High-fives were had, pizza was shared, and Alec and I played out the rest of our tokens. We had some awesome games (including this crazy 2-player game on Rescue 911 where we both replayed on the same game!) All-in-all, there aren't enough good things I can say about Sarah, her staff, her know-how, her collection, or her arcade. I know that Alec already reviewed the arcade, and I had sort of meant for this to be my take on it, but I realize that this has just materialized into a love letter to the Pinball Wizard Arcade. I'm not sorry, though, I can't recommend this place highly enough! One of my favorite arcades of all time!! Thank you Sarah for your hospitality! Jon is working on a MEGA post right now, about a recent pinball adventure we took together, but in the meantime, I thought I'd write a quick post about a trip I took to Montréal, Quebec last weekend. First off, I am sad to report that Montréal is NOT a happening town when it comes to pinball. I wandered all over the city with my girlfriend Claire, in various different neighborhoods and districts and there was not a pinball machine to be seen anywhere. I checked bars, movie theater lobbies and generally had my "pinball radar" on all weekend, to no avail. 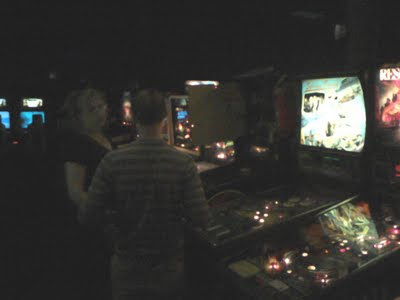 The lack of pinball was confirmed by a few local Montréalers whom I questioned as well. 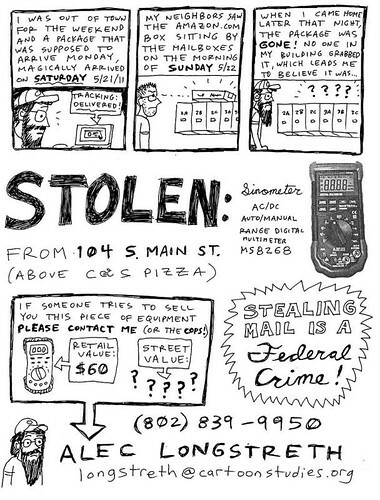 If I am wrong about this, and there is some epic pinball parlor hiding somewhere in Montréal, please let me know! I would love to know about it, because the rest of the city was awesome, and I will definitely be visiting again soon. Anyway, they asked us if we knew where we were going to get lunch and we replied that we did not! So they took us to Dépanneur le Pick Up, an awesome little diner with a killer Pulled Faux-Pork sandwich. 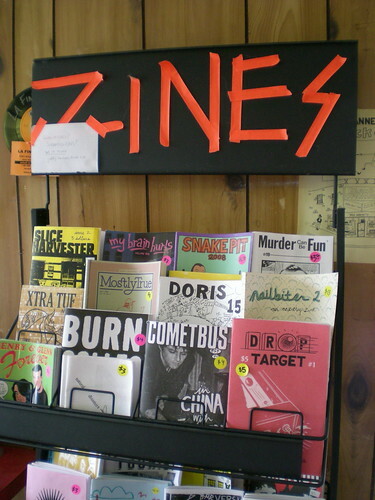 While Claire and I were standing in line waiting to order, I looked around and suddenly I saw an awesome ZINE RACK. And WHAT, dear readers, was in that rack? You guessed it! Drop Target issue one! At first, I was like "Huh?! How did THAT get here?!" but then I remembered that Drop Target #1 was nominated for the Best English Language Zine at the 2010 ExpoZine festival in Montréal! (a fact that I think we forgot to mention on this blog - whoops!) Anyway, a few Canadian distros picked up the zine after our nomination, so I guess that explains how it might have gotten there. We're in good company! Pretty much every zine on that shelf is top notch and most of them can be found over at Microcosm Publishing, if you want to check them out. Hopefully some Montréalers will read our zine and then demand some local establishments get a pinball machine or two! Okay, well, that's my story. Jon should have a post soon that will blow your mind - or at least, it blew ours when it all happened! Drop Target in the Multinomah Public Library System! People of Portland, Oregon! I am happy to announce that Drop Target is now available in your public libraries! A representative from the Multinomah Public Library system swung by Stumptown back in April and bought some copies of the zines for the library. This means you can now check out the zines for FREE, using your library card! I think that is so cool. Sorry things have been a little quite around here. Last week Jon and I were on the thesis review committees here at CCS and then it was graduation this weekend. For graduation day, I set Medieval Madness on FREE PLAY for all the graduates and their families. Here's a photo of CCS graduate Beth Hetland playing pinball with her sister and father. Well, fear not Dear Readers! Jon and I have a big pinball field trip planned for tomorrow and we will report back afterwards with a recap. Happy flipping out there! I was crusing around the internet seeing if there were any recent books on pinball, maybe about the later 90's machines (does anyone know any? 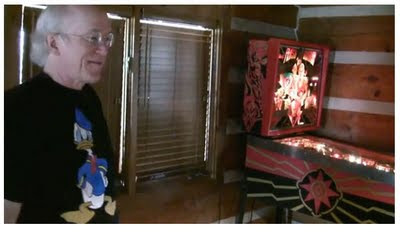 ), and I found this one site that must have, at one point in time, sold vintage pinball books. Some of these covers are amazing! It's really worth checking out just to see some sweet pinball graphic design, including the famous Pinball book by pinball historian Roger Sharpe. As some of you know, I am a HUGE Don Rosa fan. His comics were some of my favorites, when I was growing up. Then, in part 3, about 5 minutes in, he says that he's been trying to buy a Shadow (Midway, 1994) machine. There's something about comics and pinball, I'm telling you! We'll have to try and get some copies of Drop Target to Mr. Rosa, one of the greatest living cartoonists in the world.